There are about as many investment strategies and investment options as there are investors. I also believe that many of these are offered because the people behind them have already worked out that it is in their favour to offer them but I am sometimes accused of being cynical. I don’t actually begrudge them for this as we all have to make a living in this increasingly complex world but I do have a problem with how some products and services are made to sound more complex than perhaps they should which the cynic in me again believes is being used to deter people from going DIY. I think back to 2007 when I first realised that for the first 12 years of my life I had been working for everybody but myself. And if I didn't start taking responsibility for my own future quickly I was going to end up with little more than a State Pension (or some other form of welfare) that would be provided at an age chosen by the government of the time. 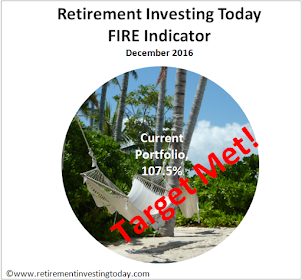 I needed to start saving and investing without further delay. I did what the mainstream world tells us all to do. I spoke with Financial Planners who I believe in hindsight were making what they were offering sound more complicated than it needed to be. I also read about what looked like complex investment products which would not only give me a fantastic return but would in some instances possibly even put man on the moon. I'm possibly even guilty of it when I talk about my own low charge strategy and some of the other concepts we cover on this site. I think it’s a simple concept but thinking back to what I knew when I first started down this road it would have been nothing short of confusing. Of course the difference is that I don’t get wealthy at your expense. I'm not for a minute suggesting that there is anything illegal or misleading going on but I am glad that I went DIY as I believe that I would have had no better return plus I've saved on all the fees and expenses which are now part of my wealth which is compounding nicely. Since going DIY I am happy with progress however one area I know I went wrong is during the first couple of years when I knew nothing and was trying to learn. This period of time definitely cost me and while I don’t regret it as it taught me what I know today, thinking back I really should have just used the KISS rule until I’d educated myself. So let’s do that today and try and build a simple portfolio and strategy which could maybe tide a DIY investing beginner over until they were ready for more complexity. When they are finally ready they probably won’t even have to sell but instead could just build upon what would then be a core holding and if they were never ready then they’d still likely do ok.
We’re trying to create a simple portfolio so we’ll let our investor go no further than a portfolio of equities and high quality domestic bonds. Now we need to determine how they should be mixed which is known as asset allocation. Again, let’s keep it simple and use the rule of thumb that you should hold roughly your age in bonds. It’s a rule of thumb which is also recommended by John Bogle so comes with some credence. If our beginner turns out to be a conservative investor then it probably has them holding too many equities and if they end up an aggressive investor then too many bonds but this is supposed to be simple so we’ll go no further. What equities should our beginning investor be buying? Again I’m going to keep it simple and suggest the FTSE 100. It’s only 100 companies but it represents about 81% of the UK market and gives international diversity with around 80% of all earnings coming from overseas. What about high quality domestic bonds? Here I'm suggesting the safest domestic bond type for UK Investors - UK Government Gilts. So that’s the simple portfolio for our investor – our beginner’s age in UK Government Gilts and 100 minus our beginner’s age in the FTSE100. Now if our investor wants to maximise their return from this portfolio they must minimise expenses and taxes. There are many FTSE100 trackers out there but the cheapest I’ve been able to find is the Vanguard FTSE100 ETF with a Total Expense Ratio (TER) of 0.1%. For the UK Government Gilts let’s stay with Vanguard with our investor buying the Vanguard UK Government Bond ETF with a TER of 0.12%. So if our investing beginner was 35 years of age their total expenses are a low 0.107% per annum. Our investor now needs to buy these ETF’s through a share dealing provider. They should also now be now preventing HM Revenue & Customs from getting their hands on as much of the portfolio as possible. If they are investing after tax £’s then they need look no further than an online Stocks & Shares ISA wrapper. There may be others but a suitable ISA for minimising expenses could be the TD Trading ISA from TD Direct. Providing our investor has an ISA balance of £5,100 or more there are no annual fees. The only thing to watch out for will be each time an online purchase is made, which will be either the initial ETF purchases or any subsequent regular investment, a trading commission of £12.50 will apply. The trick to minimising trading commission impact is don’t tinker and buy in reasonably big chunks. I’d suggest save in cash until you have at least £2,000 and then make a trade. If they are investing pre-tax £’s, which might come from say movement of a Pension pot from an expensive Insurance Company, then they’ll be likely looking for a low cost SIPP provider. Again there might be others but they probably wouldn't have to go much further than a Sippdeal SIPP. Hold only those 2 ETF’s and there are going to be no annual charges. Only purchases will again attract a trading commission. This time it’s £9.95 per deal for the first 9 deals in the month. Our investor now has a simple portfolio, with the lowest expenses I see possible and within the lowest tax framework I can see as being possible for this portfolio. The final consideration is what to do when the portfolio allocation moves away from the age in bonds asset allocation with time. Again let’s keep it simple. Firstly, as new money enters the portfolio through savings our investor should just buy the ETF that is performing the worst. Do the same with all the dividends. If after both of those actions the asset allocation ever moves 5% away from the age in bonds target (for example a 40 year old ends up with 65% in equities) then sell the best performing ETF and buy the worst performing to rebalance. I’m the first to admit that this 2 ETF Portfolio is unlikely to put our beginner DIY investor on the Efficient Frontier but what it does do is give a DIY beginner a fighting chance of a reasonable return during the early days. In parallel to running this portfolio they can then educate themselves through their own private research, make up their own minds and I believe when they look back in a few years at how their DIY investment journey started probably wouldn't think they went too far wrong. Who knows, some might even decide to not make it any more complicated. Do you agree? Do you have a better idea for a Simple Low Expense, Low Tax Investment Portfolio for DIY Beginners? Sticking with Vanguard you could just buy a Lifestrategy fund and be done with it, although not as easy to rebalance your allocation, maybe get the 60% fund, another option is to just go 50/50 bonds/equities which is about as simple as it gets. Its surprising that Vanguard dont do a 50/50 fund as even Mr Bogle speaks highly of it (http://www.vanguard.com/bogle_site/april272001.html), packaged as an ETF with some investment grade and inflation linked bonds included that would be a truly KISS proposition, covering most bases. Good suggestion on the Vanguard LifeStrategy Equity Funds. When I researched this post and weighed up the Pro's and Con's they ended up a very close second. - More asset allocation diversity. For Bonds you get UK Gilts, UK Corporate Bonds and UK Inflation Linked Gilts. For Equities you get UK Equities, Developed World ex UK and Emerging Markets. - If you don't follow Age in Bonds and just us 60:40 or 40:60 then you never have to worry about rebalancing. - Only one fund to worry about. - Higher expenses. The 60% Equity has a TER of 0.31%. 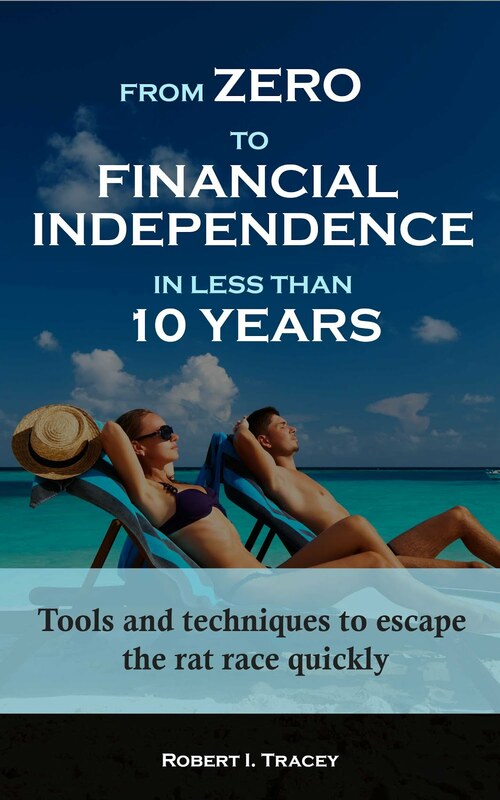 - I struggled to fund a way to hold within a Pension cheaply. Hargreaves Lansdown Vantage SIPP will cost you £24 per year, SippDeal SIPP will cost £50 per year and TD Direct SIPP will cost 0.25% every 6 months (min £40, max £100) + VAT to name but three. - If our investor then wanted to use Age in Bonds they'll need another fund/ETF which could add even more cost. Your Vanguard ETF 50:50 fund including index linked gilts (my favoured bond tipple) would be an interesting proposition. Why not hold, say, an index-linked gilt directly in your portfolio? You then have certainty of date of maturity, (real) value at maturity, and equivalent certainty for payment of the coupons too. As time rolls along, your new money would go into a longer dated ILG, so you'd be laddering naturally. - How would a beginner go about buying these? For example is it any different to say buying an ETF and how would a beginner know which one/s to buy. - How are they treated in Trading, ISA or SIPP wrappers from an expenses perspective? We've bought ILGs (and Fixed Interest Gilts too) in ISAs. At Alliance Trust (when they didn't have an annual charge!) it was dead cheap - their usual minimal charge for a weekly (I think it was) purchase, combined with v small spread and no stamp duty. Reinvestment of coupons (if required) was pretty cheap too if your bloc of gilts was big enough (reinvesting small sums is disproportionately expensive), but became prohibited when the remaining life of the gilt sank below 5 years. You are getting the coupon tax-free in an ISA: CGT-free too, of course, but then it's CGT-free anyway outside an ISA. Even though ATS now charge us annually, we still hold an ILG there as a decent substitute for cash for the next three years. If equities collapse we'd sell the ILG before maturity and buy equities . Otherwise we'll sit tight on the "don't trade" principle and wait to see what happens. Our other experience with bonds was with a different provider: there we sold all our equities in 1999 and bought gilts and, just in case I was wrong, some convertibles. It turned out I was right so that the convertibles acted just as if they were fixed interest corporate bonds that yielded a bit more than gilts, and we were pretty happy with them. Thanks for the detailed reply. Much appreciated. I wonder though whether I'd personally recommend ETFs to newbs: they're significantly less simple to understand than OEICs (I've been in the game for a few years, and I still don't feel particularly comfortable with them), and that £12.50 per trade is a deal breaker, when you can buy OEICs through the same broker, TD Direct, for £0.00 commission. In fact, £12.50/trade completely precludes regular investing, which is probably the method that will suit newer investers better than any other. Interesting point Simon. That's why these types of posts are so difficult. It comes back to the first line in my post "There are about as many investment strategies and investment options as there are investors." - How much will the OEIC, ETF etc charge annually? - How much will the wrapper charge annually? - How much is the wrapper purchase commission? - How much is the "fund" up front commission (eg the Vanguard SDRT)? So maybe for "small" sums invested and "small" purchase amounts your OEIC may win in some instances but given the FTSE 100 ETF has a TER of 0.1% and the nearest Vanguard equivalent OEIC has a TER of 0.25% and an SDRT of 0.5% there is a cross over point (and this ignores platform fees), which isn't that large an investment, where that £12.50 is worth paying for an overall saving. Sorry but I'm using Lyxor L100 Ftse 100 TR Etf. It's got a TER of .3 doesn't pay dividends but reinvests them internally so you don't have to pay to buy more every few months. It comes out as the same or better than VUKE and is zero maintenance. Job done. That Lyxor ETF has issues with withholding tax, you don't get the full benefit of the dividend. You should switch to a UK, Luxembourg or Dublin based ETF to avoid this.